Happy Reformation Day! How will you teach your little ones about the Protestant Reformation? Not all parents can be experts at teaching Christian history. So that’s why we have experts like Dr. Timothy Paul Jones share in fun and witty ways how the Church got to where it is today! Want to know what St. Patrick or Joan of Arc has to do with Christian history? What about the Crusades? Well, look no further! 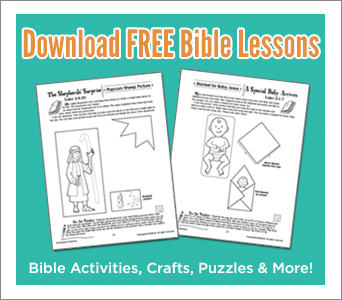 We’ve got these great educational snippets of Christian history for you and your kids! Combine these videos with discussion questions or a trip to a museum for an unforgettable Christian history lesson! Check out this playlist that includes fun animations and excellent storytelling for easy learning and retention. Perfect for middle school and older. Discover how God flipped Martin Luther’s life upside down and rocked his understanding of what it means to be saved by grace. Did St. Patrick really drive all the snakes out of Ireland? Was he even a saint? Find out in this 2 minute excerpt from the 12-Session DVD study Christian History Made Easy from Rose Publishing. Learn how a young member of British Parliament followed his conviction to bring about the abolition of the African slave trade. Discover the real “Santa Claus” in this animated excerpt from the new 12-session DVD study from Rose Publishing. Learn how the many marriages of Henry VIII cost William Tyndale his life. Joan of Arc – French peasant teen, mystic, war heroine, martyr, saint. Never the wife of Noah. Learn how the fire in Rome in 64 AD affected first century Christians. Dr. Timothy Paul Jones takes you through the most important events in Christian history from the time of the apostles to today. He brings to life the fascinating people and events that shaped our world. This isn’t dry names and dates. It’s full of dramatic stories told with a touch of humor. This series, based on Dr. Jones’ popular award-winning book Christian History Made Easy, ties in spiritual lessons believers can glean by looking at the past, and shows how God was still working in his church despite all the ups and downs. For the complete Christian History Made Easy Study Kit, click here!